This evening, LG issued a press release that states the smartwatch will be available through the Google Store in thirteen countries by the end of April (or next week). Along with an unspecified date, LG did not provide a price. Also, this is merely for the rollout of the Watch Urbane and that means shipping will likely take place at a later time. It could be June before anyone gets their smartwatch. The wait could be worth it, however, as the Watch Urbane has specifications to put it at the top of its class. The completely round 1.3-inch display has 320×320 resolution and P-OLED technology. Inside is the usual Snapdragon 400 processor and collection of sensors. Two unique feature are LG Call for viewing recent calls and LG Pulse for monitory heart rate with no pause. And, right out of the box, the Watch Urbane has the latest version of Android Wear. Being that the G Watch R has a $299 price tag, the Watch Urbane could reach $349. SEOUL, Apr. 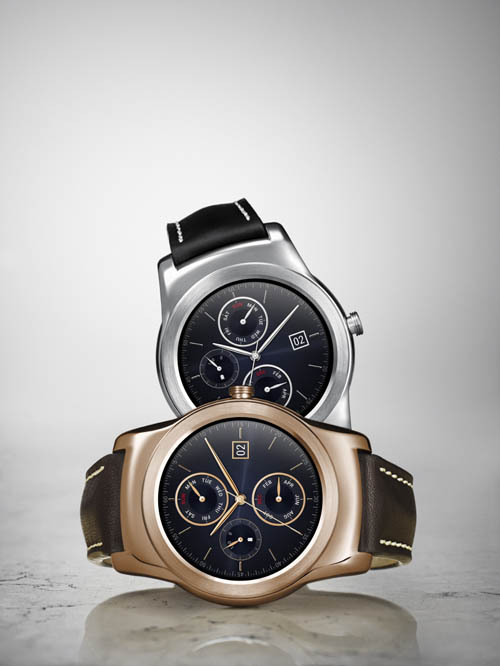 23, 2015 — LG Electronics (LG) will begin the global rollout of its premium LG Watch Urbane this week in South Korea to be followed by key markets in North America, Europe and Asia in the weeks to come. Customers in Australia, Canada, France, Germany, Hong Kong, India, Ireland, Italy, Japan, Korea, Spain, the United Kingdom and the United States will be able to purchase the LG Watch Urbane on Google Store starting this month.